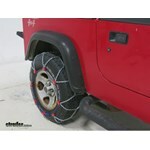 These diamond-pattern, square-link chains provide excellent traction in snow and ice. 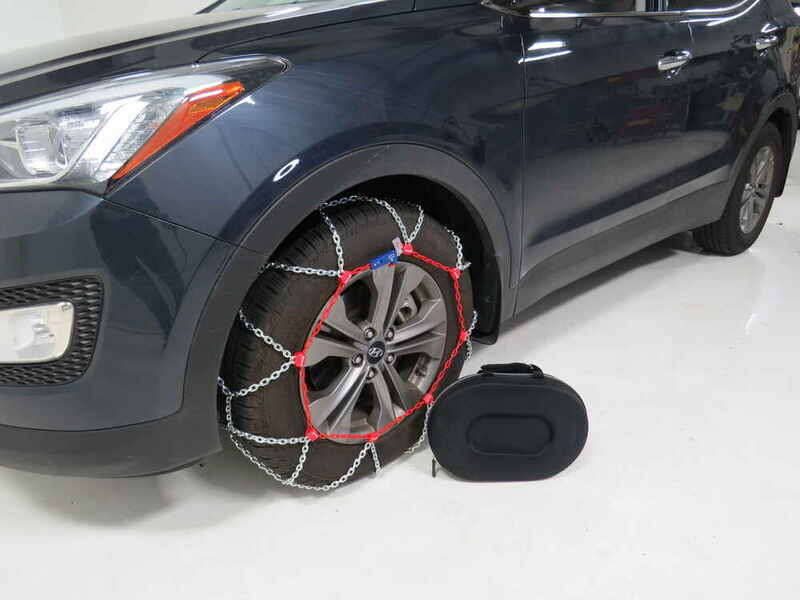 Just loop the chains around your tires to install them, and they will automatically tighten as you drive away. Great for vehicles with limited wheel-well clearance. Lowest Prices for the best tire chains from Pewag. Pewag Snox Pro Self-Tensioning Snow Tire Chains - Diamond Pattern - Square Link - 1 Pair part number PWSXP560 can be ordered online at etrailer.com or call 800-298-8924 for expert service. 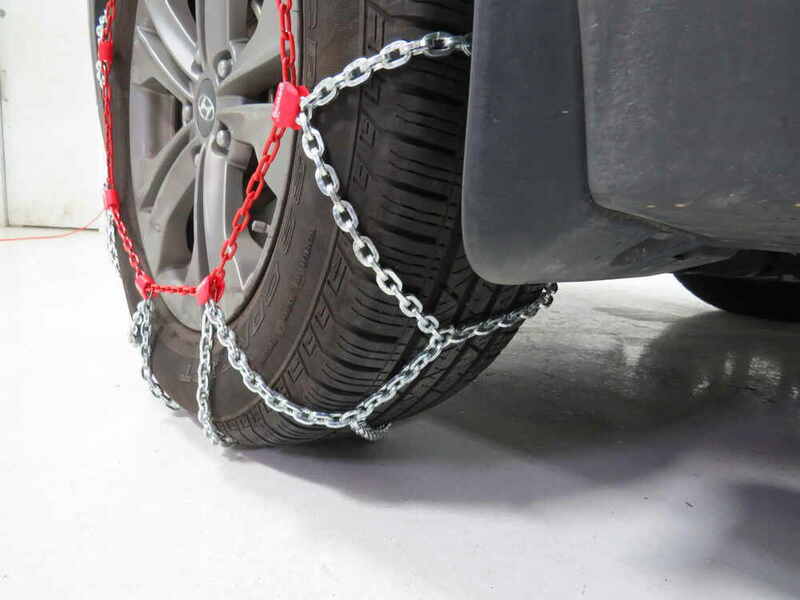 These diamond-pattern, square-link chains provide excellent traction in snow and ice. 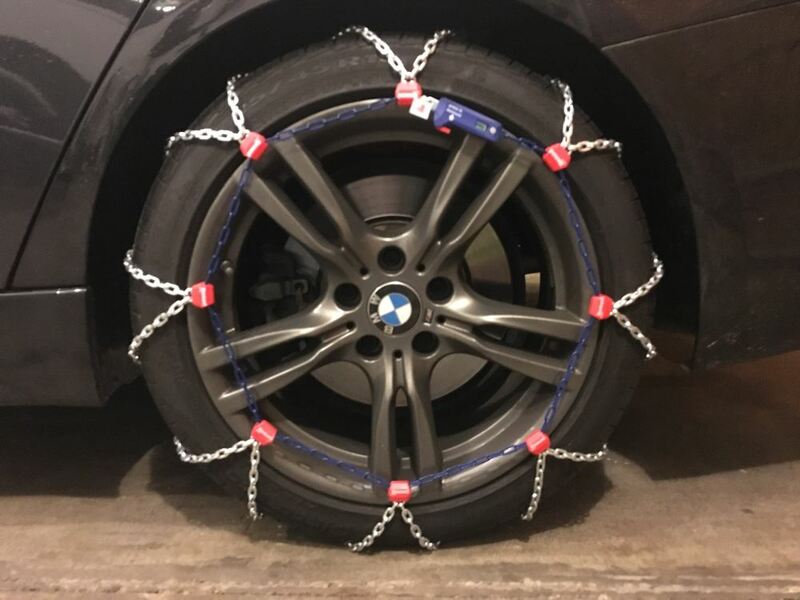 Just loop the chains around your tires to install them, and they will automatically tighten as you drive away. 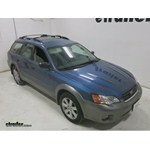 Great for vehicles with limited wheel-well clearance. 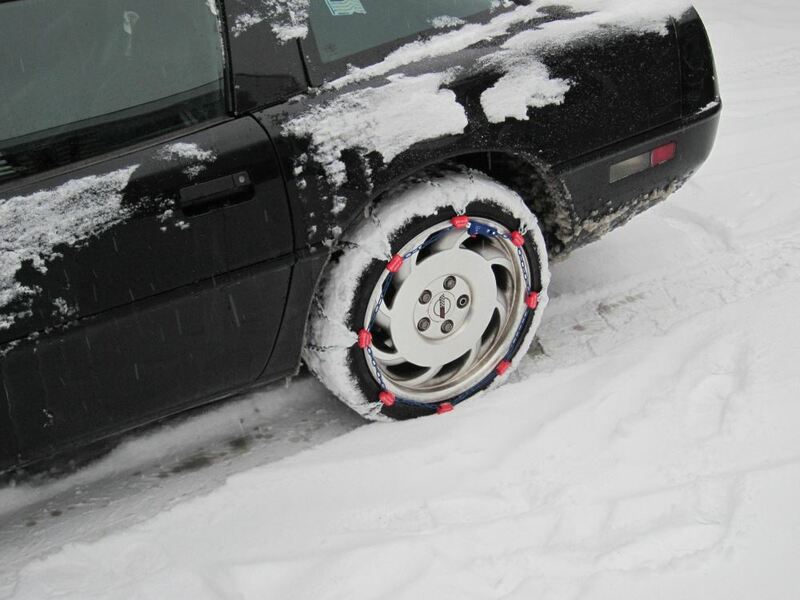 Pewag Snox Pro tire chains install so easily, you'll be on the road in minutes. 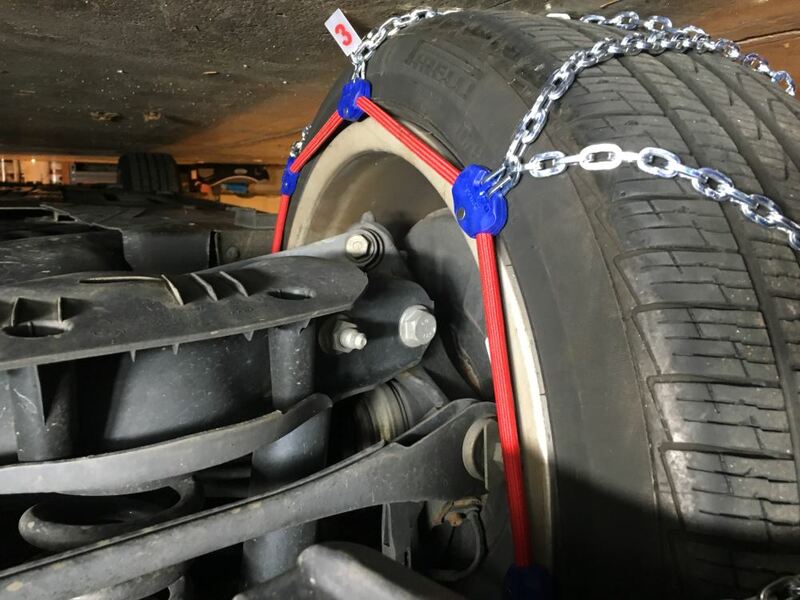 Just pull the chains onto your tires and the unique self-centering, self-tensioning system tightens automatically as long as your wheels are rolling. 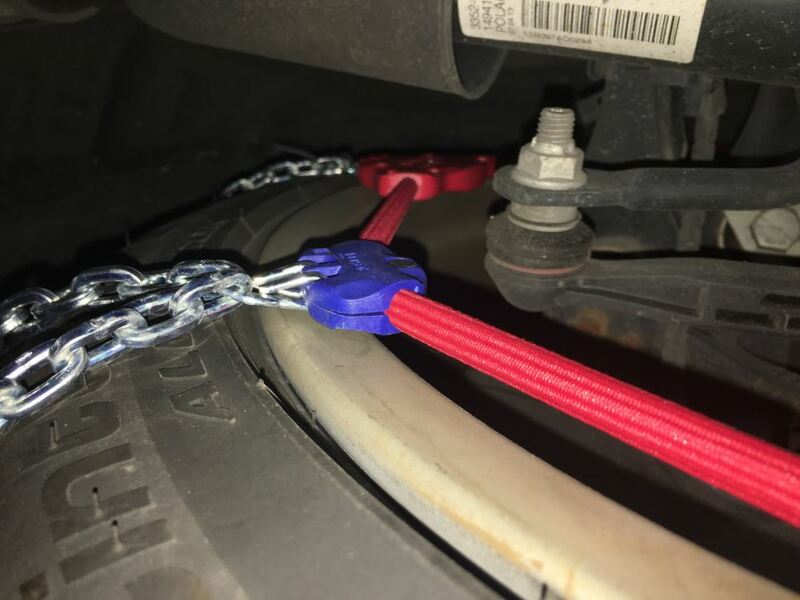 The tensioners release when the vehicle stops, making it easy to pull the chains off quickly when you reach dry pavement. 1. Grasp both ends of the red cords on each side of the self-tensioning device and pull outward to activate. 2. Position the red cord over the tire. Pull the cord to the back of the tire and tug the cord down, fitting it around the bottom of the tire. 3. Drive forward 1/4 of a tire revolution, keeping the wheels straight. 4. 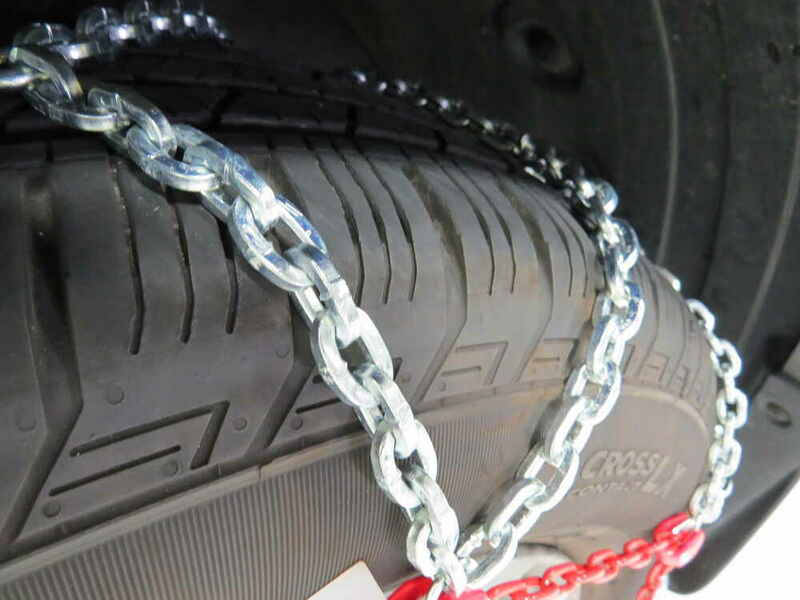 Pull the rest of the chain around the tire so that the cross chains are positioned on top of the tire tread. 5. Repeat this process on the other tire. 6. Once the chains are properly positioned, drive forward. 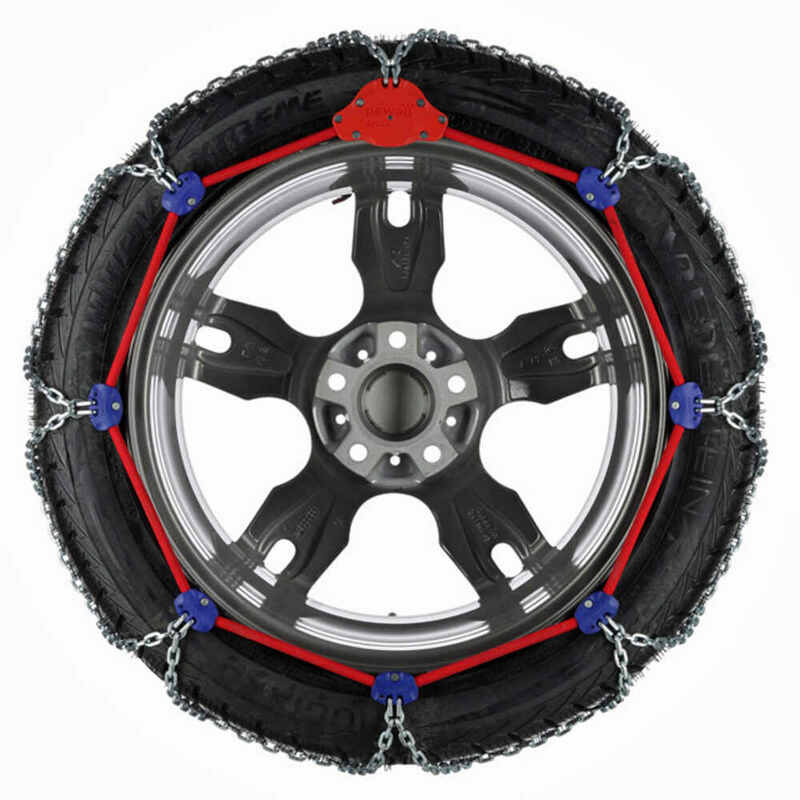 The Snox Pro chains will automatically tighten and center themselves as you drive. No manual adjustment is necessary. 7. 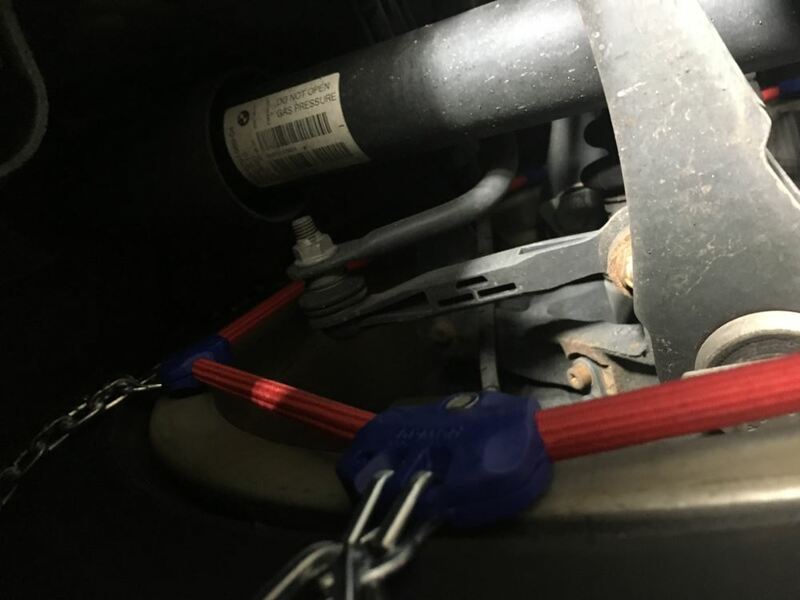 The tensioners automatically disengage when the car comes to a stop. 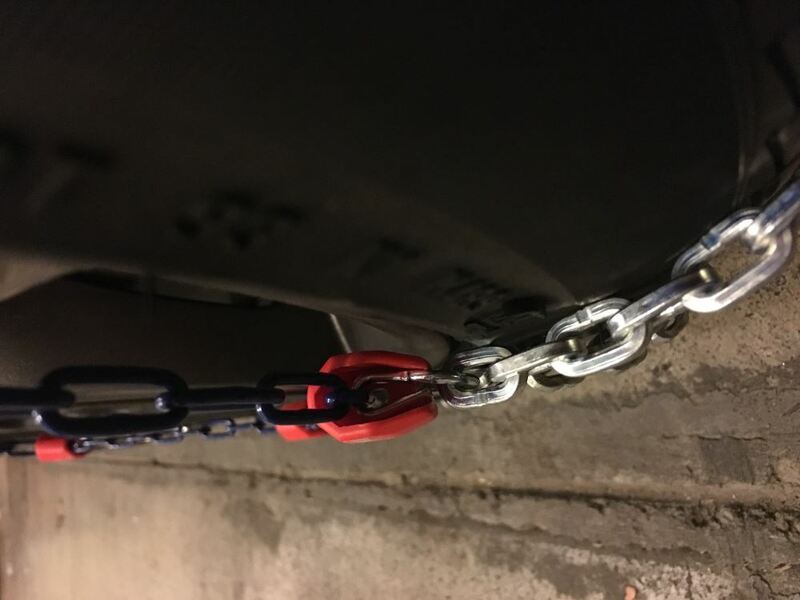 To remove the chains, you can simply pull them off or you can press the quick-release latch, which provides more slack in the chains to allow even faster removal. 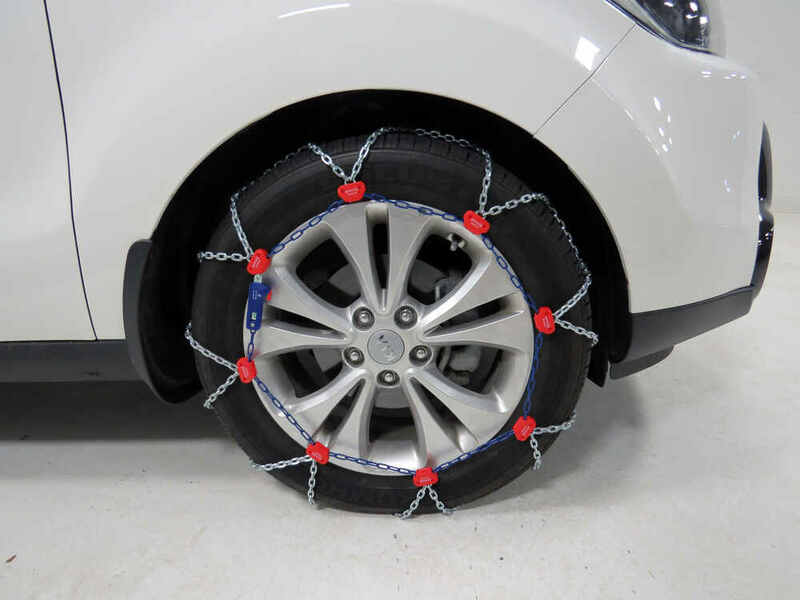 Today, we're going to be taking a look at the Pewag Snox Pro series of self-tensioning snow tire chains. These offer a diamond pattern and square links. These come in a wide variety of sizes, available for many different applications. 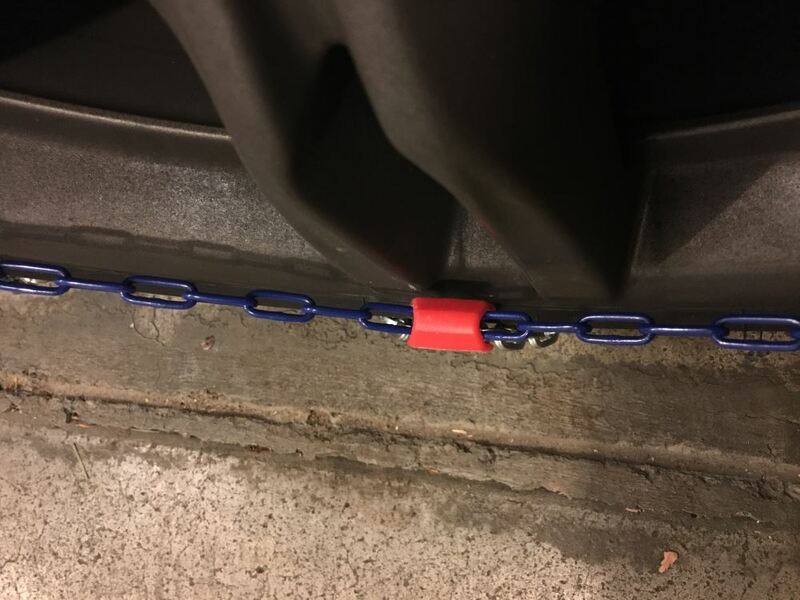 The Snox Pros are one of the easiest tire chains that I've come across to install that we've got. We basically just put them over the tire, drive forward, and they're going to tension themselves as we go. They've designed them using a very heavy duty manganese alloy. We've got square links here that help to give us biting surfaces. You can see the diamond style pattern is going to give us superior coverage side to side. This helps us not only when we're going forward and back to give us traction, but also on turns. A great thing about the Snox Pro are these vinyl bumpers. These are your design, not illustrated so well on these application with my old rusty rim on my jeep. Let's say on my Suburban or something, it's got the nice larger, low-profile wheels with the chrome rims. These are going to come down and make contact. A lot of them, the hooks can get in there and maybe do a little of scratching. These are already equipped with the bumpers. They go around to protect us from having to deal with that kind of issue. We've got a low-profile chain design that deal with those 2 very important things for us. First it's going to give us a nice smooth ride. 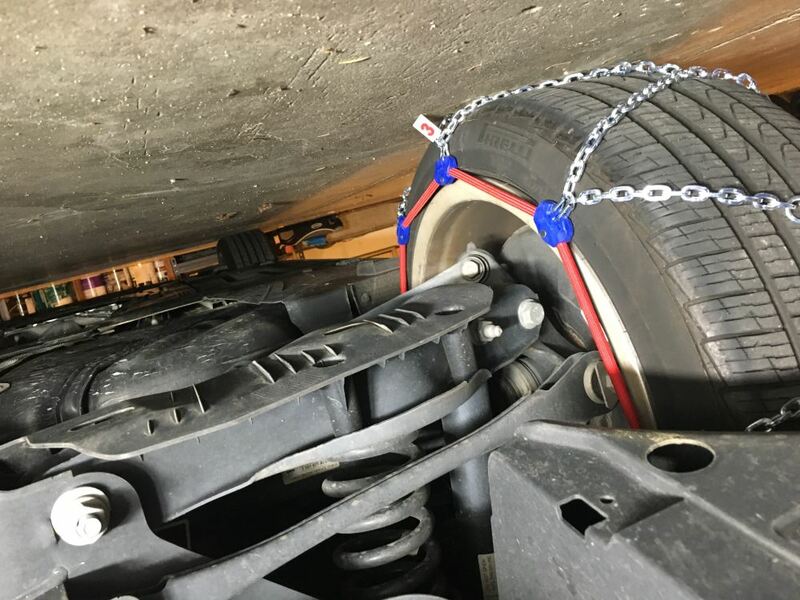 Also, this helps it gain the classification of a SAE class S chain, which is great when you have restricted wheel well clearances around, and you can't have one of the larger chains. The Snox Pros are going to come in a reusable carrying case. Inside, we're going to find everything we've need. We're going to have gloves. We've got the Snox Pro directions in here, also the Snox Pro warnings. One very interesting thing about the directions, they're actually made on a plastic, like a fishing map is, to keep it from getting wet. 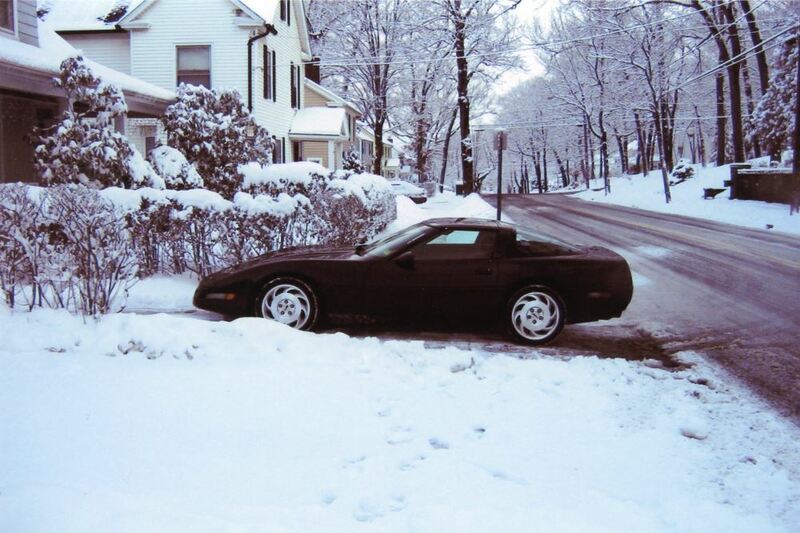 We can pull this out, lay it on the ground in the snow. We're not going to have to worry about it deteriorating. On each side, as you can see here, we've got a pocket. That's going to hold our Snox Pro in place in, and they're very compact. You can keep that in your account year around, not that you've needed, but you wouldn't have to worry about taking it out, forgetting it, and leave it on the garage. Now we're going to show you how to get you chains installed on your vehicle. Step 1, get them out of the package. We want to find the larger Pewag Snox bracket there. We'll grab the bumpers on each side. We're going to pull and wrap that around the back side of our car. We want the chain to be on the outside of the red cable. Let's keep that in mind as we put it on. This goes right down in the rim, bring those out to the front side just like that. You just keep working it down around. As far as the manual labor goes, we're done. In most situations, you're just going to drive forward about 100 yards slowly. These are going to tension on your vehicle for you very nicely. In our situation, we're just going to roll the jeep forward. You'll see it's going to snap on around there. At this point, we want to take the opportunity to bring the other portion on around to the back side of our tire. We can help it a little bit, but as we drive, that's going to center out nicely. We won't have any issues to deal with. As you can see, just rolling it back and forth 20 feet really helped out with getting that centered. You can imagine how going down the high way a little bit further would really get it locked in nicely. For removal, we're simply going to press the red button. It allows our clip here to spread out. That's going to give us the slack we need to now pull the Snow Pros on off of the tire here. Pull them out to the side, and then we'll just drive forward off of them. Collect them and them back in the package, and use them next time we have a storm. 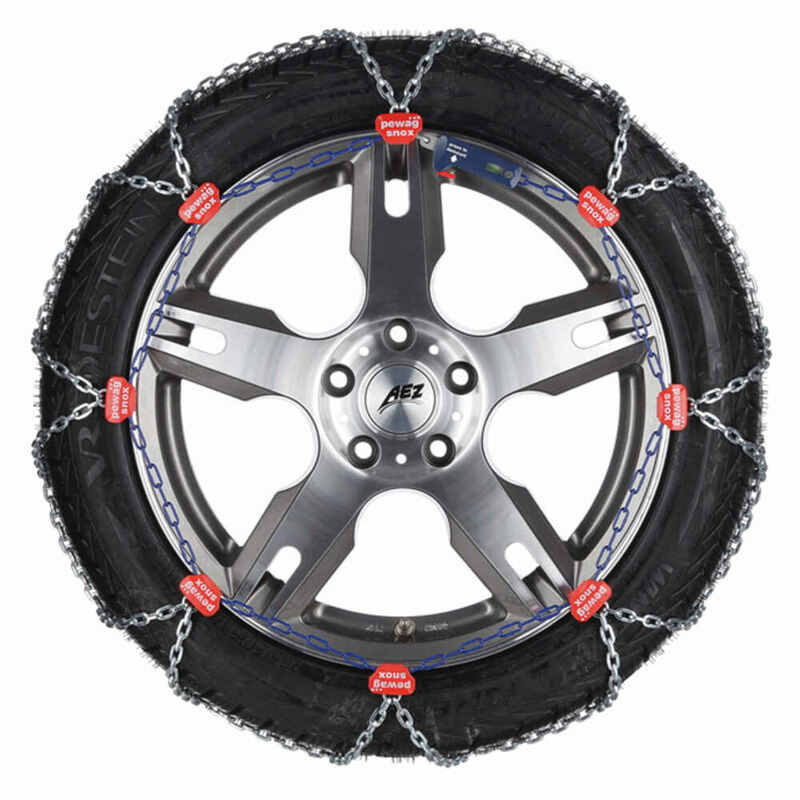 That will complete today's look at the Pewag Snox Pro Series and self-tensioning snow tire chains. .
Order: RelevanceNewestRating - High to LowRating - Low to High These diamond-pattern, square-link chains provide excellent traction in snow and ice. 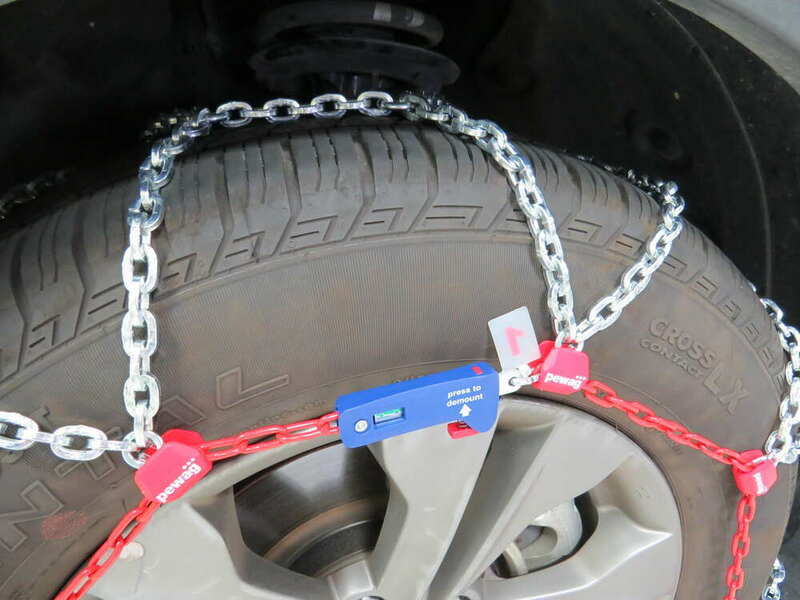 Just loop the chains around your tires to install them, and they will automatically tighten as you drive away. 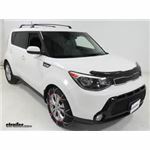 Great for vehicles with limited wheel-well clearance.